There’s something exciting and decadent about choosing an obviously unnatural hair color. 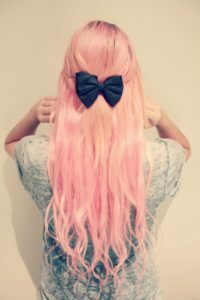 And with the ongoing popularity of pink hairstyles over the past five years, that decadent feeling is more than just a passing fad. 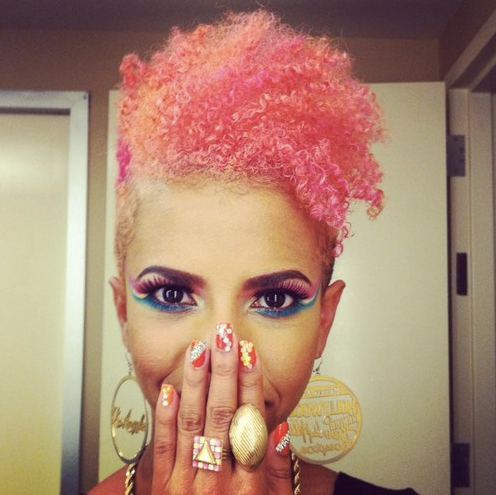 Pink hairstyles have the ability to be both edgy and sweetly feminine, or bold and romantic all at once. 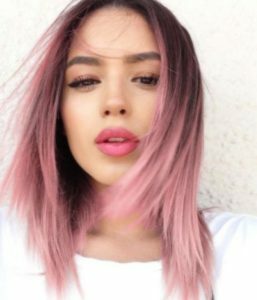 A pastel rose hue makes your layered bob stand out from the rest, while a pink sorbet shade can take a short style from masculine to demure. Pink hair is for the punks, the girly girls, and everyone in between. So whether you identify more with rock stars like Pink and Gwen Stefani, or cartoon characters like Jem and Princess Bubblegum, these pink hairstyles will convince you this is a shade your strands need. 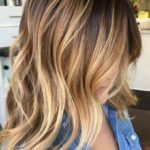 If your hair is naturally fine, straight, and resistant to heat styling, adding a new color can stop your same old style from feeling boring. 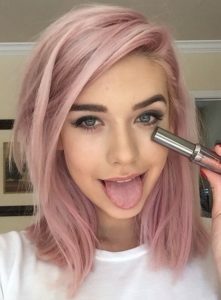 This pure pink shade is surprisingly glamorous when paired with luxe metallic clothing, and looks perfect against fair skin and blue eyes. 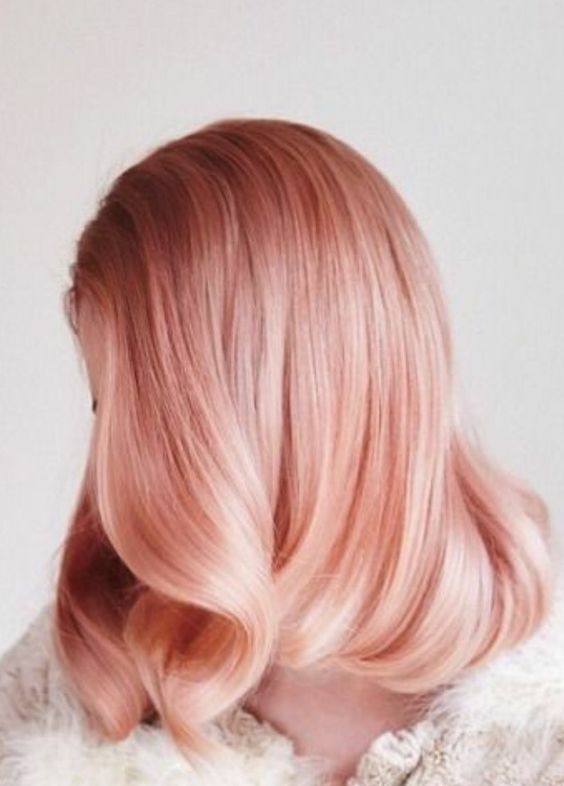 These sherbet tones in peach and pink look good enough to eat! 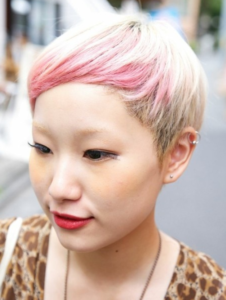 Match brighter, warm shades like this with medium or olive skin tones to bring out rosy tones in cheeks. 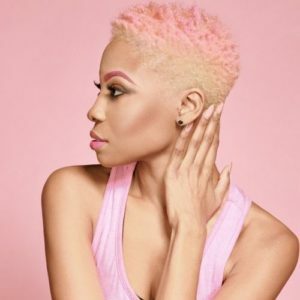 As this model proves with her vibrant pink and turquoise eyeshadow, choosing a pink hair color doesn’t mean you’re stuck wearing only neutral shades of makeup. For natural blondes, pink highlights can be an easy, semi-permanent way to add a rosy glow to your hair. 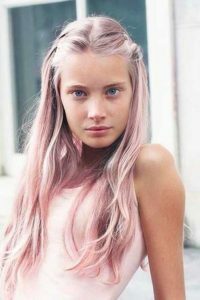 Paint a temporary pink pastel color (like Manic Panic in Fleurs Du Mal) onto the ends of hair to get this look on your own. With peachy pink shades over natural, dirty blonde hair, the overall effect of this color is surprisingly earthy, and helps to balance the choppy haircut. 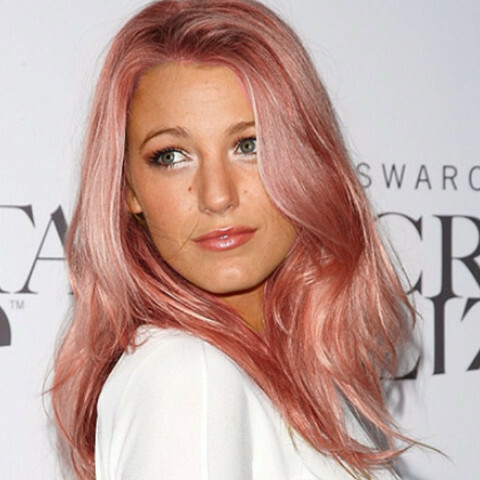 Blake Lively’s dimensional rosy pink hair brings out the warmth in her complexion, and sets a great example of how a wild shade of hair can look chic rather than costumey. 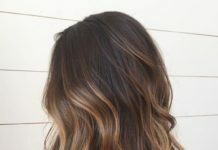 Hair color like this has a dramatic effect even when paired with neutral wardrobe choices in white or ivory. 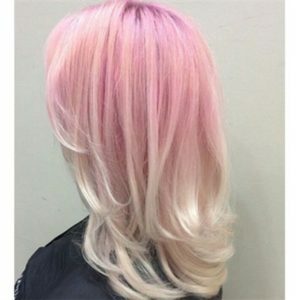 If you like to wear your hair long, blonde, and tousled, try adding a creamsicle colored ombre using semi-permanent dye. 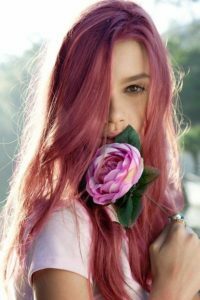 If your color comes out a more intense shade of pink, the color should fade to pastel over a few weeks, and you can speed the process by washing hair more frequently. 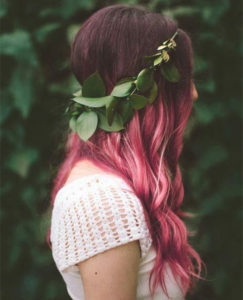 While the pink on blonde color combination gets lots of attention, we also love a rosy shade on darker brunette hair. 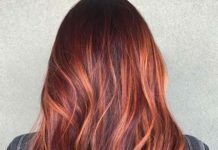 This chocolate-strawberry hair looks warm and rich, and the color palette is a nice change for your hair when fall rolls around. 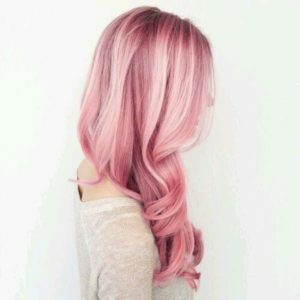 Just the tiniest hint of pink takes this hair from ordinary blonde to popping the cork on your favourite bottle of sparkling rosé. If you’re hesitant about dying your hair an unnatural shade, this is a nice way to test the waters. 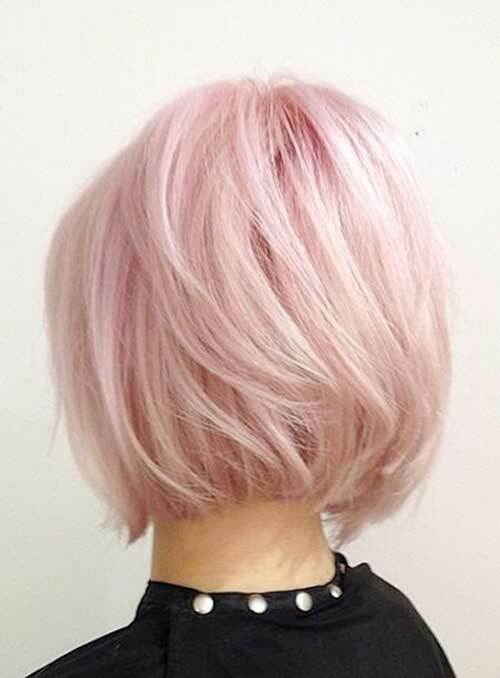 A chic bob gets some sassy treatment with this cotton candy pink color. 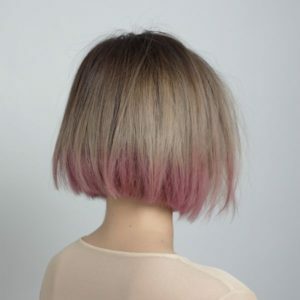 This haircut has lots of movement thanks to subtle layers in the back, striking the perfect balance between manageable hair and a trendy, pastel shade. 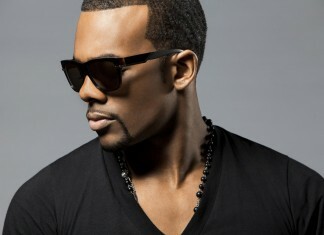 This style is what rich, dimensional color looks like in a fantasy world. 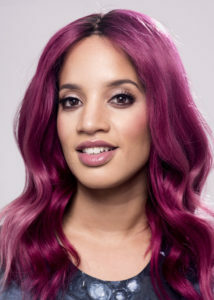 Making use of a more mixed palette of pinks, this look features darker tones in fuchsia and magenta, with a lighter peachy pink through the ends. Grabbing onto the neutral hair trend in which locks are closely matched to skin’s complexion, blonde hair frames the face, and is accented with a pastel pink color on top. 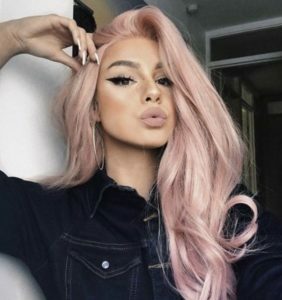 To make this look extra chic, eyebrows are tinted a deeper shade of rose, helping the hair and face to become one perfect work of art. 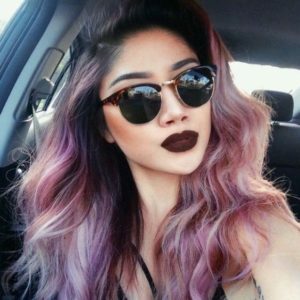 Ultra long locks bring more hassle and styling time, but you’ll be thankful when all that work pays off by giving you more canvas to experiment with new colors! 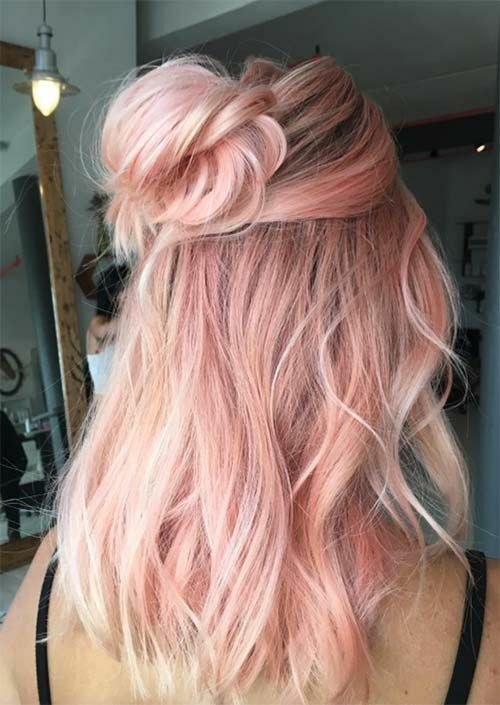 This super long style features peachy ombre over a pastel pink base, and looks so trendy it should have its own Instagram account. This warm shade of rose gold looks like it was inspired by an antique piece of jewelry, and looks surprisingly sophisticated for a hair color that’s a blend of pink and blonde. We love this shade of rose gold when paired with vintage curls, but you can pair it with a blunt lob or edgy pixie for a more modern look. From barely-there blush to intense and electric shades, we’ve seen Katy Perry try on almost every color imaginable. 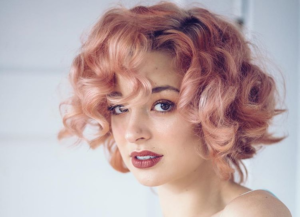 This hot pink hue with tangerine accents is an excellent contrast against her porcelain skin and steely eyes, and makes her look like a pop art heroine when worn in this vintage, pin-up style. 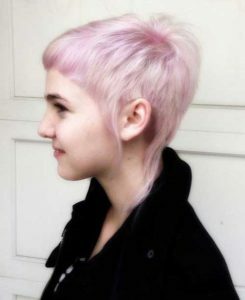 This edgy pink and blonde pixie cut creates a well-defined frame around the face, and leaves no room for feeling self-conscious. 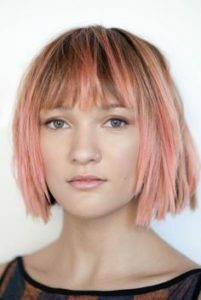 With a haircut this bold and futuristic looking, the pastel pink shade in the fringe brings a softer, playful element to the style. If you think cool tones go best with your skin and eyes or you’d like to go a little different with your pink hair color, this is the shade for you. 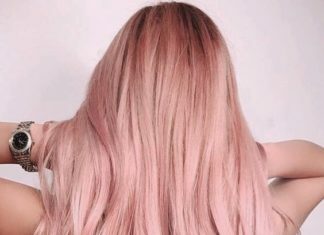 By putting a pastel pink over an ashy blonde base, the end result is this dusty rose color that looks like the cool tone version of the very trendy rose gold. This dirty blonde bob gets a simple color treatment thanks to dip dyed ends in a muted rose shade. We’d recommend this style to anyone looking to try out pink hair in a subtle, low commitment way. Another way to go subtle with your pink hair, this style features a platinum blonde base with some candy colored pink ends on the hair’s innermost layer. With burgundy roots and rich magenta ombre through the lengths, this lush color combination looks like a woodland fairy’s dream come true. 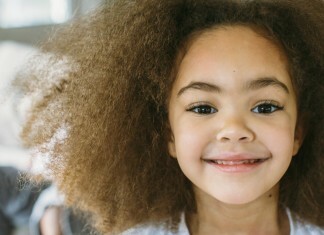 While this dimensional color looks great in any style, it’s especially striking when worn in braids or curls. 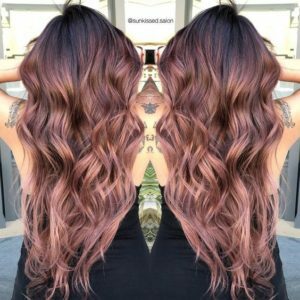 Can’t decide between sweet and edgy? This gauzy pink style lets pieces of platinum shine through to create an ethereal color palette, and contrasts nicely with the punky haircut featuring short bangs and longer strands in front of the ears and at the nape of the neck. 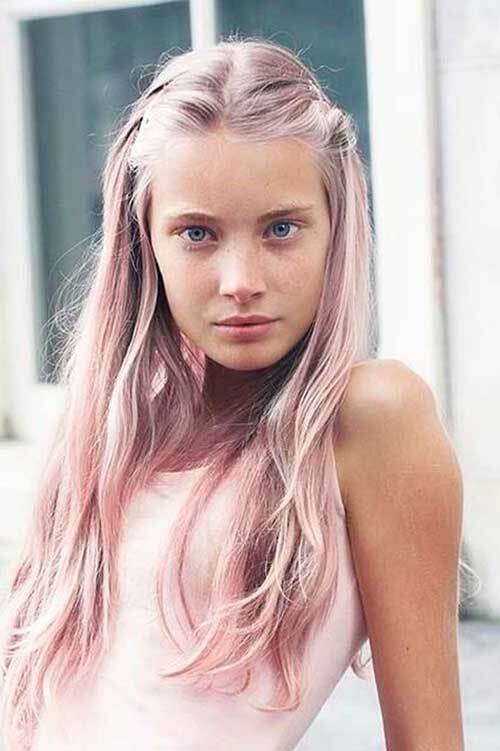 If pink hair occurred naturally, this multidimensional style is how we imagine it would look. With lighter tones layered over darker ones, this color job looks great with natural waves or heat styled curls, and helps make hair appear thicker. 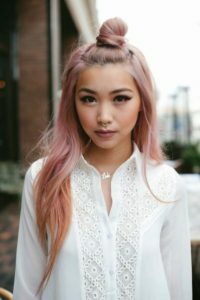 A warm, golden blonde fades into creamy strawberry pink, creating a rosy style that looks like the perfect mash-up of elegance and bohemian style. 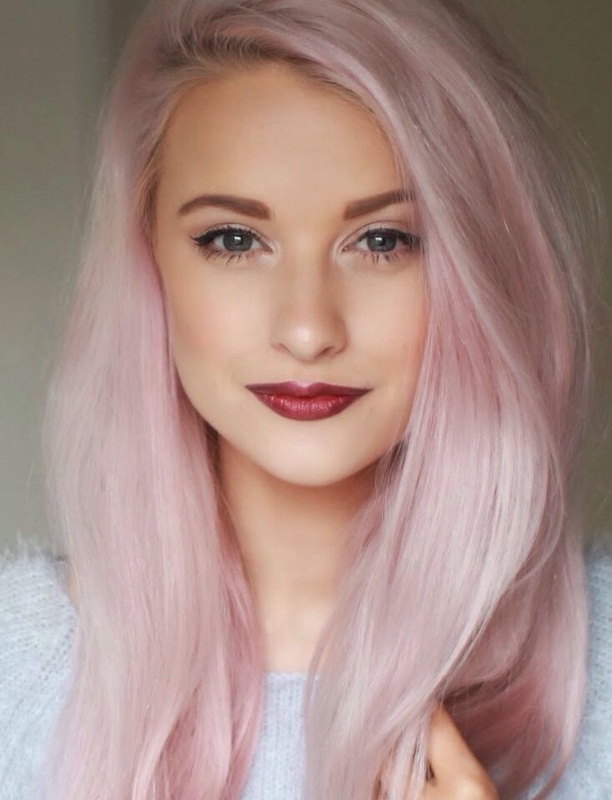 This silvery shade of platinum pink looks great against warm or cool complexions, and even pairs nicely with a dark currant lip. When she’s not busy starring in Orange Is The New Black we’ve seen Dascha Polanco wear all sorts of unnatural colors, from silvery lavender to this ultra vibrant turn with a full head of magenta hair. We love how deep, rich tones like this play against Dascha’s olive skin, compared to pale pastels that can wash out complexions with yellow undertones. 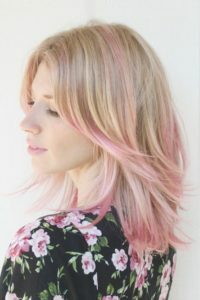 A few pastel streaks painted on throughout various layers of hair make for a low-key pink style that’s easy to apply at home, even for novice hair colorists. 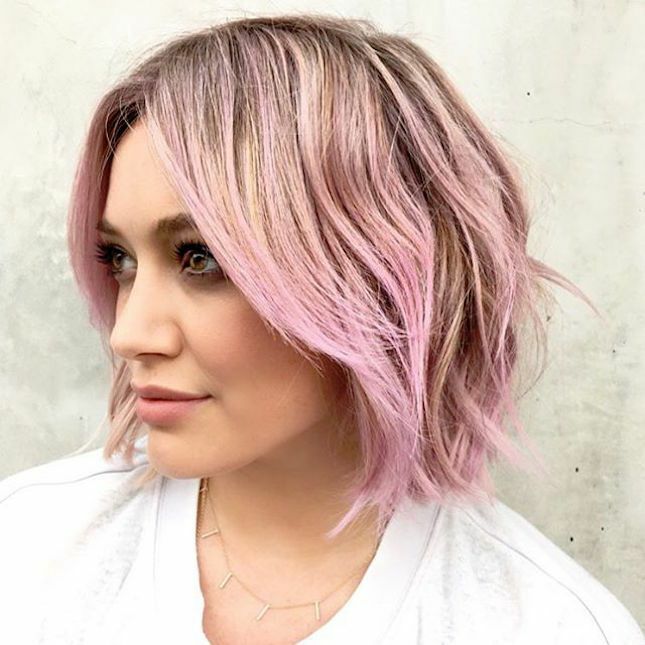 One of her many fun hair choices over the past couple years, Hilary Duff’s chin length bob oozes on-trend sophistication, but her pastel pink highlights assure us she’s not done having a good time. 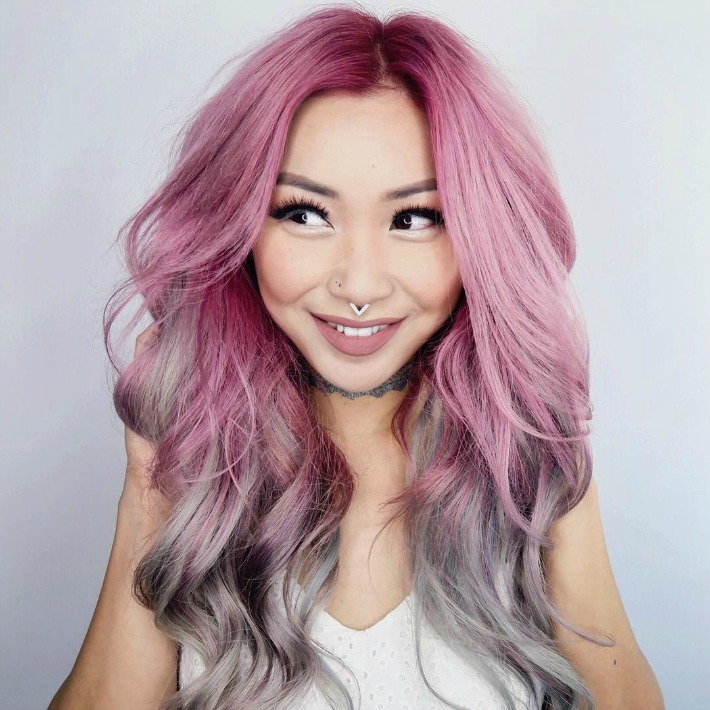 This metallic pink hair with silvery grey ombre combines two trendy hair colors for an in-your-face look that’s worth the effort to achieve. Putting a fun twist on the popular ombre trend, this style is pastel pink at the roots and platinum at the ends. 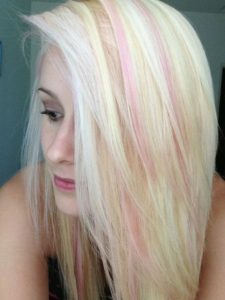 The color combination comes out looking like a refreshing pink lemonade, and looks amazing against fair skin with cool undertones. Rose pink is the hottest new trend this season! This unique shade of pink seems to be everywhere right now. We are in love with this light rose (almost lilac) shade! 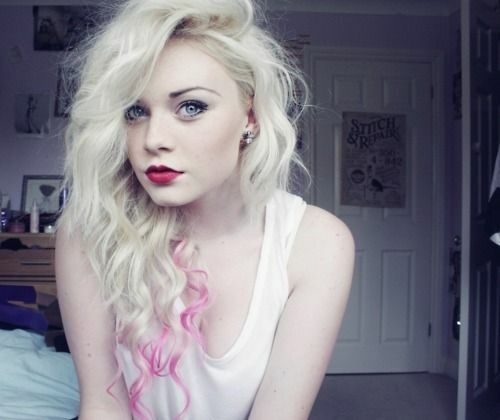 If you’d like to have super light pink blonde, t This dusty shade is the perfect alternative to the pink pastel hues. 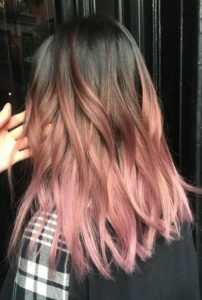 How gorgeous is his pink blonde balayage!!! 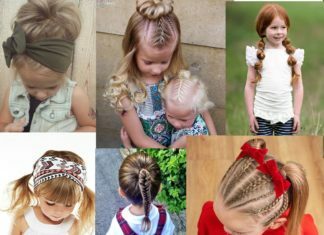 The half up updo really show off the mix of highlights. Pink mauve is a great shade for the cooler months , and if you’d like to have deeper shades of pink. If ombre is your go to style, this warm rose pink is a great choice and look super chic! This balayage style features a stunning blend of blonde and pink rose gold highlights on darker roots.